Drafting a power of attorney is a process often engaged in by someone who wants to protect themselves and potentially their finances or health care decisions if they were to suddenly become incapacitated and unable to make them on their own. However, many power of attorney disputes can occur because someone may argue that you were under undue influence at the time or that you did not have the appropriate mental capacity to make this decision to begin with. As a result, an increasing number of people who are putting together power of attorney documents are doing so after being evaluated by their general physician or mental health professional. While this might seem silly to include what is essentially an argument testifying to the proof of your mental capacity at the time, this can help to minimize the chances of power of attorney disputes, if and when it becomes time to activate the power of attorney document. 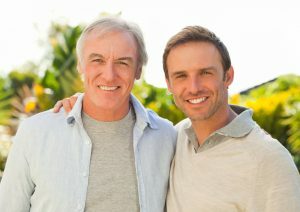 It can be difficult to share your decision-making process with loved ones who are ultimately not selected as your power of attorney agent, yet this too can help to minimize conflicts when you explain how you arrived at your decision and which person is enabled to make these crucial choices or act on your behalf if you become unable to do so. In the event that you become incapacitated due to an accident or a disability, you will want someone to be able to step in quickly to render these decisions on your behalf. Avoiding conflict can make things easier for your family members in an already difficult situation. Consult with an experienced New Jersey estate planning lawyer to learn more about protecting your interests.